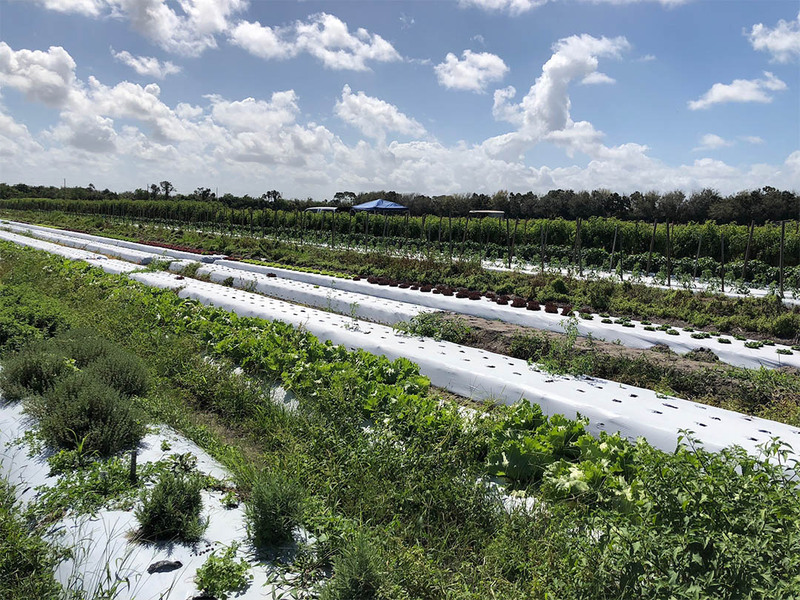 D2D recently visited Green Cay Farm, also known as Farming Systems Research, in Boynton Beach, FL. Green Cay is a Community Supported Agriculture, or CSA, that has operated between 10 and 15 acres of farmland for 17 years. 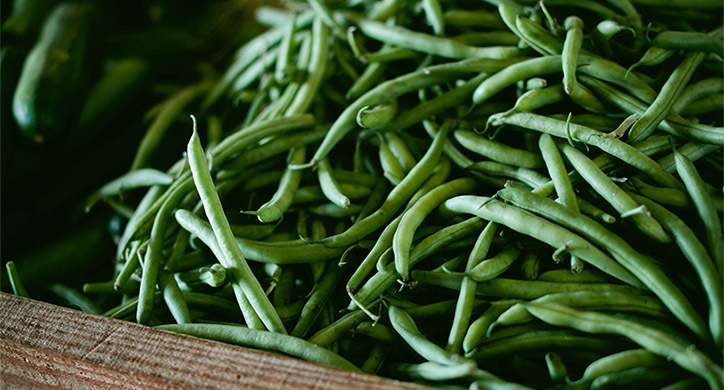 CSA means they are a direct-to-consumer farm that delivers fresh veggies weekly or bi-monthly to their subscriber list. 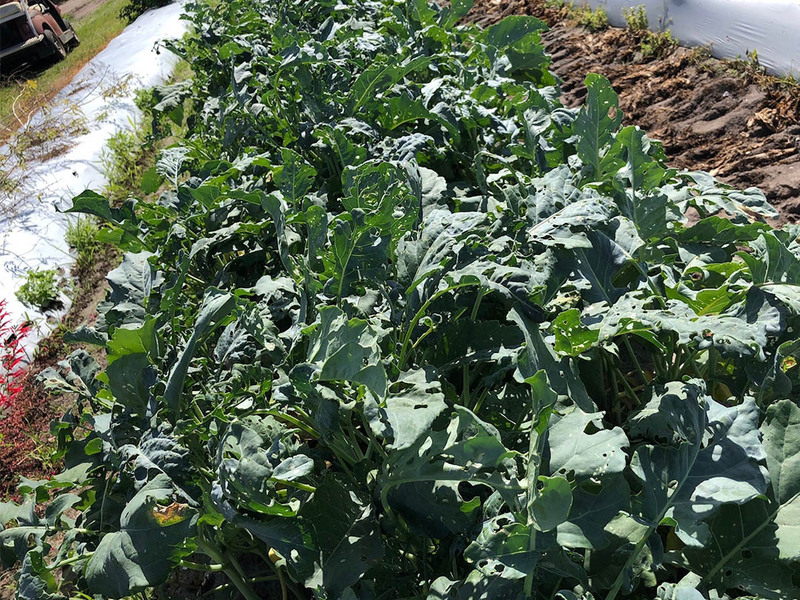 The farm grows over 30 different vegetable crops, including tomatoes, beans, broccoli, peppers, kale, squashes, watermelon, and lettuces, as well as different varieties within those crops. 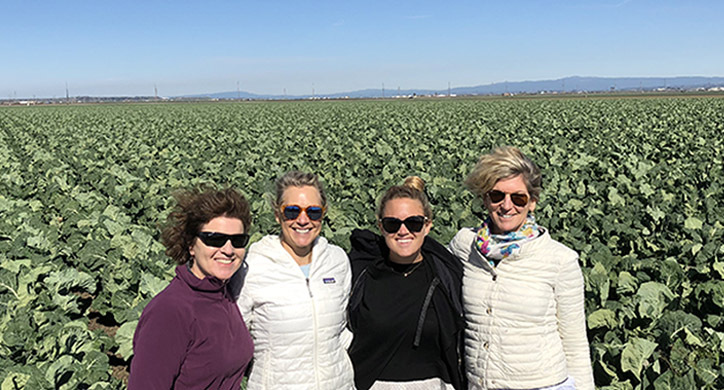 Farm manager Nancy Roe gave us an expansive tour of the farm fields and we discussed the successes of the farm as well as the various challenges they face from season to season. One of the most interesting conversations we had was about a heavily debated topic in Ag. You guessed it…GMOs. Nancy’s farm does not grow genetically modified crops, but that doesn’t mean she isn’t a fan of the technology! 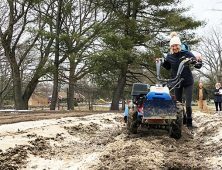 Because of consumer misconception, Nancy cannot integrate GM seeds into her farm without the fear of losing customers. But, every year Nancy estimates they lose roughly 30% of the crops they plant. 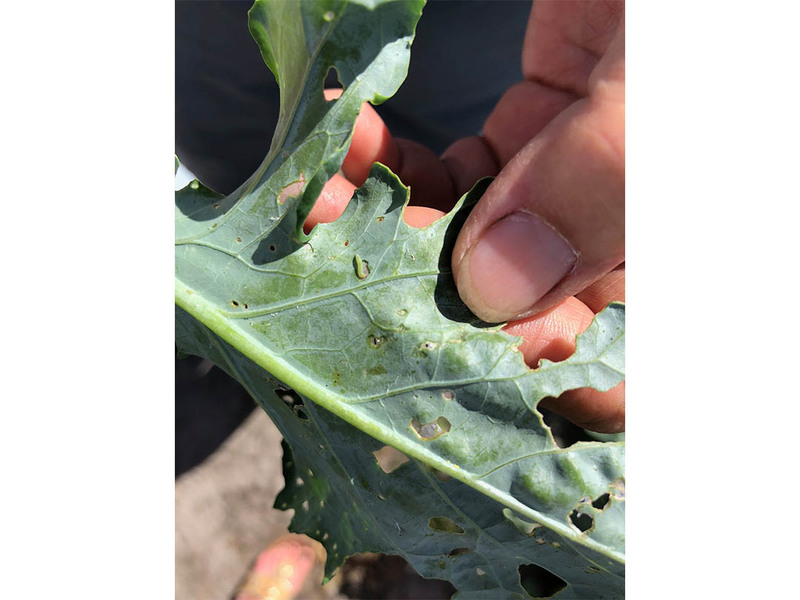 And last year they were required to spend more money on pesticides in order to keep up with the disease and pests that threatened their crops. These leafy greens are still a viable crop but have been the snack of different insects. If you look closely you can see how they have damaged the leaves. “We cannot grow genetically modified crops because our consumers won’t buy them, but it would help with crop loss. What consumers often don’t realize is that traditional crops farmers plant today have also been modified! The seeds they plant are not the seeds that were originally found in the wild. Using plant breeding technology, scientists have created better crops. Genetically Modified technology does the same thing— just a lot faster. 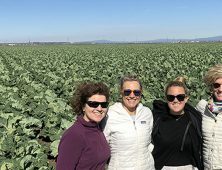 ” Nancy Roe, Ph.D.
Additionally, this season, the farm’s broccoli and cauliflower crops were knocked out due to bacterial disease and damage inflicted by the Diamondback moth, which eats the leaves and flower buds of crucifer plants. On average their crops are threatened by 8-10 different types of disease and 12 different types of insects. Three years ago, Nancy saw the benefit of growing GE crops first hand. 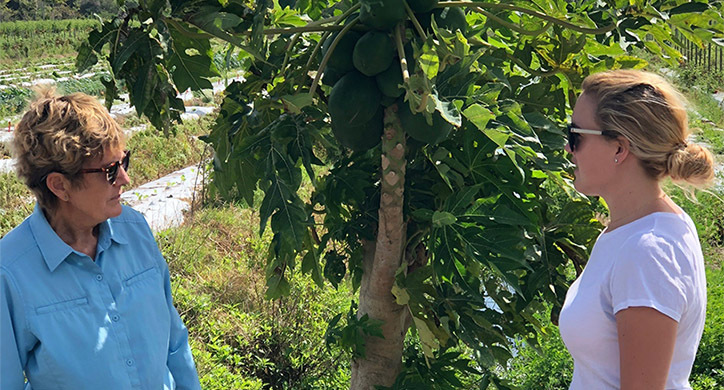 After losing her entire squash and zucchini crop to an unforeseen virus, Nancy was visiting a neighboring farm to discuss the issues and successes the farm was experiencing. When walking those fields, she noticed gorgeous squash and zucchini plants. 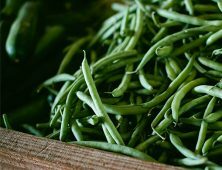 Because the seeds were genetically engineered to not get the bacterial virus, the neighboring farmer had a great growing season and successfully sold his crop. Since genetically modified crops have been proven safe by 275 organizations, including the FDA, USDA, WHO, EFSA, and NIH, and they help our farmers, shouldn’t we support it, as well? 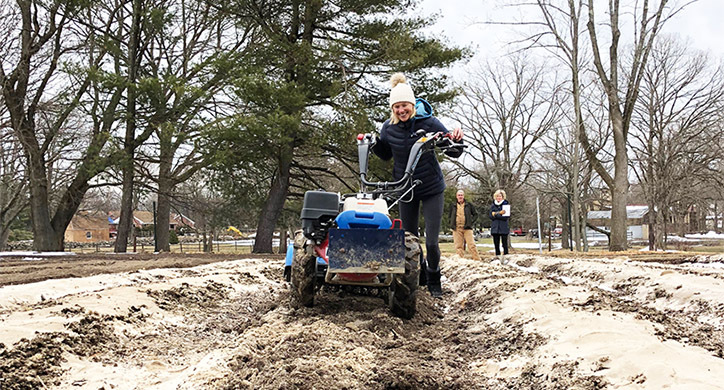 Farmers are constantly trying to heed the needs of their consumers, but at the same time, they need the flexibility to create a more sustainable farm that not only benefits its customers but also the land and its workers. 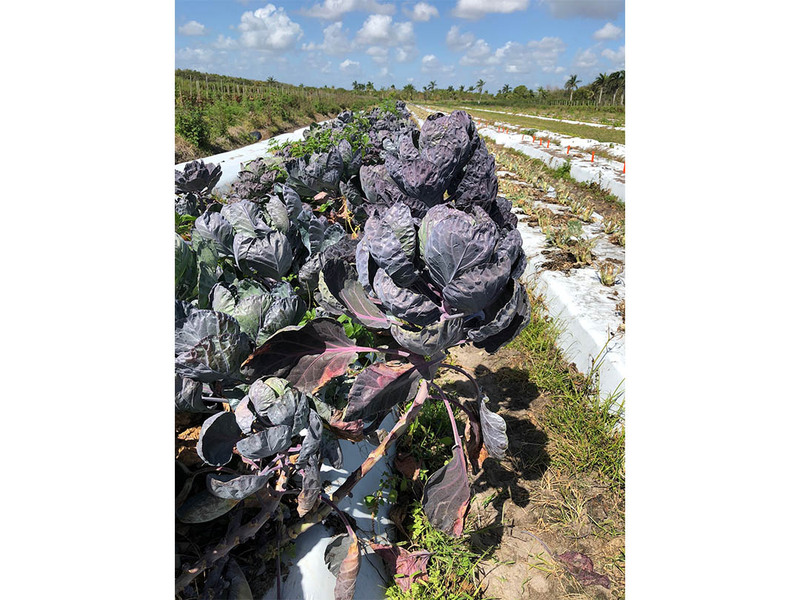 This beautiful purple Brussel sprout crop is actually a loss for Green Cay farm. Due to the hot, humid climate, the sprouts themselves never grew.